The room is located on the 24 floor with an outstanding city view.26.5 square metre , featuring Cable TV, Free wifi , Air conditioning ,electric fan, Kitchen ,sofa,refrigerator, one bathroom (shower - hot water available), communed swimming pool and gym on fifth floor and free parking lot. Laundry service is available on the ground floor. 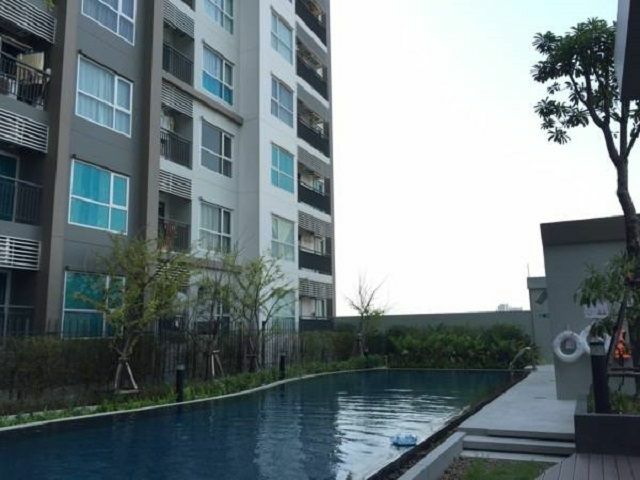 Aspire Apartment in Sathorn By Sudaporn offers accommodations in Bangkok, just 4.2 km from Wat Arun. Aspire Sathorn by Sudaporn features views of the city and is 4.8 km from Wat Pho. There is a sitting area and a kitchen complete with a microwave and a refrigerator. A flat-screen TV is available. There is a private bathroom with a shower. 24 hours security guard at the gate. It's 2 BTS stations away from The Mall Thaphra department store. Sorry! Pets are not allowed here. The location is reasonably close to BTS, but the pavements are difficult to negotiate. Despite charging a cleaning fee. The place is not clean at all. I have to spent a bit of time to clean the place. The bathroom the drainage is poor, it takes a long time for the water to drain. Overall the place to a fair deal.